Home Burnley Burnley To Return In January With Bundesliga Raid? Burnley To Return In January With Bundesliga Raid? 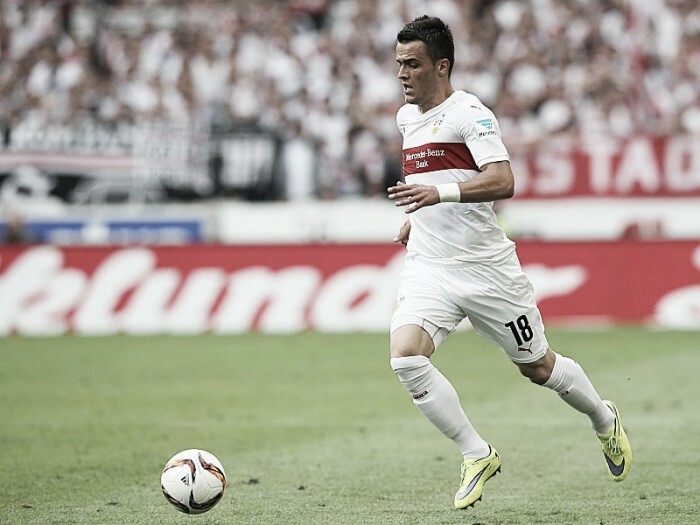 Burnley will try again in January to sign Hamburg winger Filip Kostic, according to the Lancashire Telegraph. The Clarets attempted to sign the Serbia international on the English transfer deadline day last week. However, the bid was unsuccessful leaving the Premier League club at the mercy of other suitors. Relegation to 2.Bundesliga makes the 25-year-old’s departure from the Volksparkstadion inevitable. It’s the first time in the club’s history that they fell out of the top flight. Wolfsburg, who themselves flirted with relegation from the Bundesliga, are monitoring the situation as Valencia and Fiorentina. Kostic began his career in his native Serbia with Radnicki 1923, before moving to Groningen and VfB Stuttgart, joining Hamburg in 2015. Sean Dyche wanted to add a winger to his squad during the summer, but the Clarets couldn’t push a deal for Kostic through. It’s claimed the Serb was available on a cut-price deal which appeals to the Lancastrians whose transfer budget is thinner than more illustrious Premier League rivals. Whether Dyche will sanction a return in January is a moot point. If Hamburg set the pace in the winter window, it’s likely to be a costlier move than in the summer. That may not suit them, depending on how well their Europa League campaign turns out. The extra funds could be crucial to the club who were last season’s surprise package in the Premier League.